This charming little keyring represents the whole family in flowers. 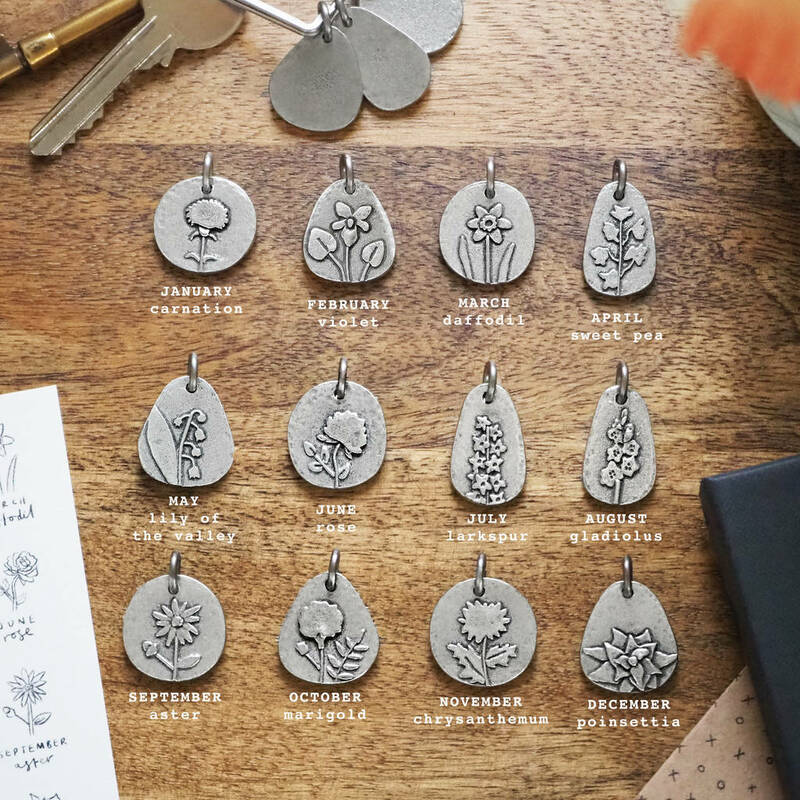 Made in a mixture of shapes such as teardrops and ovals, each charm features a little birth flower on the front that was first sketched and then lovingly made by hand. The backs of the charms are plain. 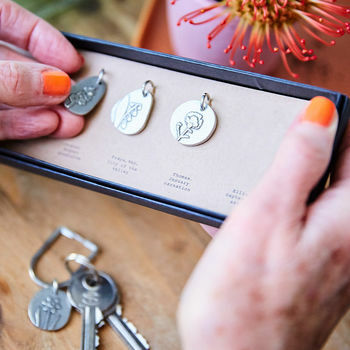 It makes a lovely way for a mother to keep her children close, a keepsake for Grandma of her grandchildren or even as a thoughtful gift between a group of friends. 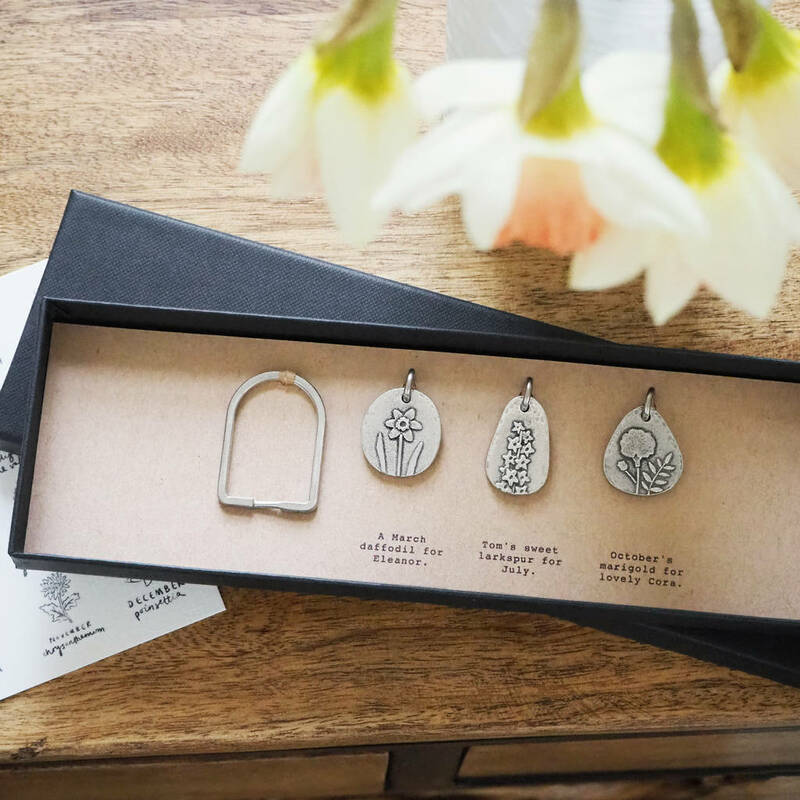 The split ring for this keyring and all your chosen charms sit in a long gift box with a little note printed beneath each one - perhaps the name of who the birth flower belongs to, a date or month and the name of the flower. We will print the exact personalisation you provide so please be sure to include the months and flower names if would like them to appear. 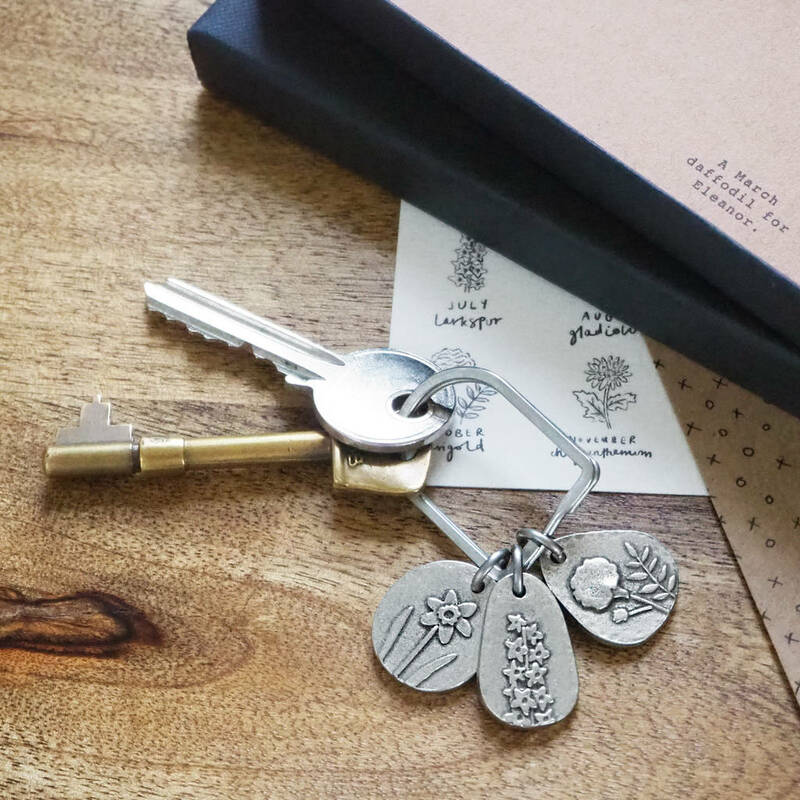 The charms can all easily be attached to the split ring by the recipient to make their keyring. They can even add further birth flowers in the years to come. The gift box sits within a gift bag so that it is ready to give or send direct and makes a lovely gift for Mother's Day. A little card is also tucked inside with illustrations of all the birth flowers which are labelled with the months and flower names. Pewter charms with stainless steel fittings. Charms measure 1.5x2.5cm to 2x2cm and the split ring is 3cm tall. This product is dispatched to you by Kutuu.